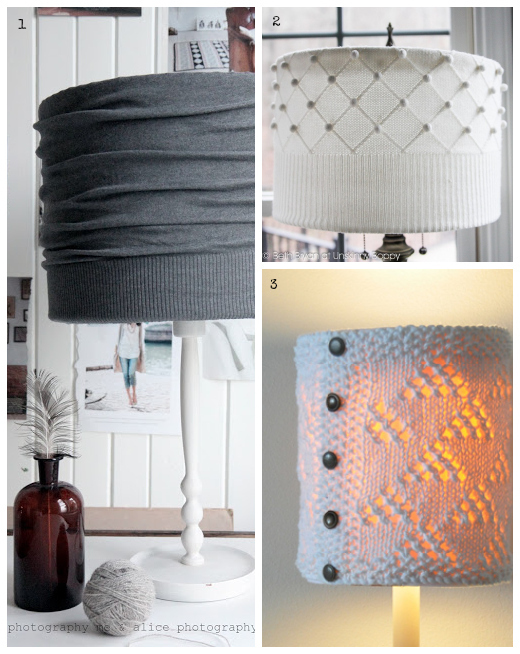 Some cozy lighting? Won't necessarily work in the spring, but right now it looks very appealing! 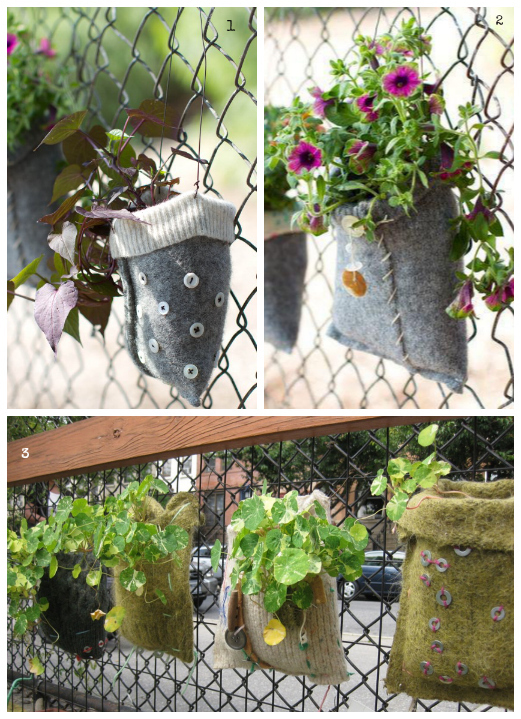 Now this idea does take your crappy old sweater right into spring! 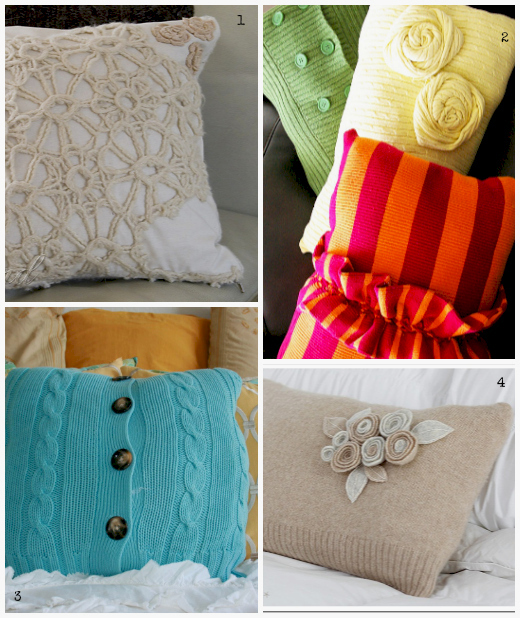 I've always liked the pillow idea and there's an endless supply of tutorials out there. 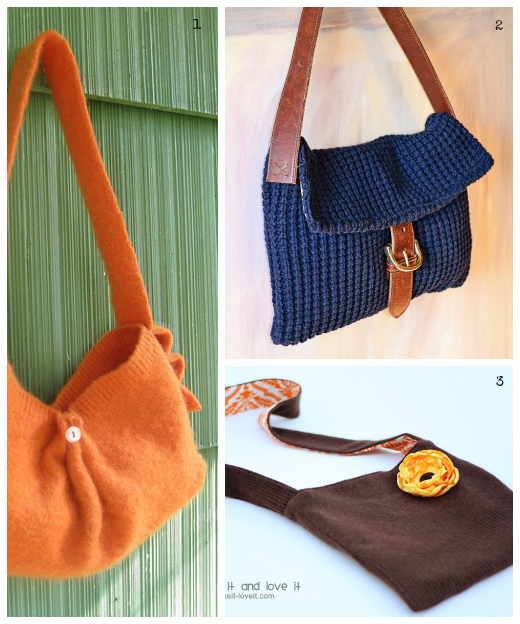 Fresh (for me) takes on the sweater bag / purse / tote ... really love the navy that also uses up an old belt. 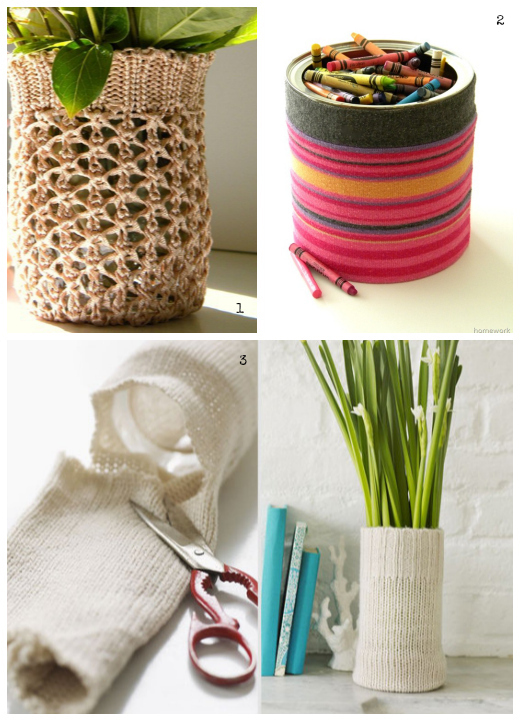 1 comment on "Upcycle: Sweater hacking ..."
Those are lovely projects. I'm in love with the bags, although I do think I've got quite a few. Won't the flowerpots leak? Going to pop over there and find out!